San Antonio IECC 2018 REscheck | $79 RESchecks & Manual Js. $79 Any Plan. Any State. Our readers at the Reschexpert blog requested a quick example of a San Antonio Rescheck using IECC 2018 energy code. 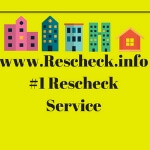 We have posted this for Reschexpert blog readers as a courtesy of Rescheck.info. If you need a Rescheck report created using IECC 2018 energy code we can do that for just $79 and have it back to you in 4-6 hours. Simply email your plans to [email protected] and we will get you taken care of. email plans to [email protected] to get your IECC 2018 Rescheck started now.